400W power amplifier built using two couples of power transistors that are TIP31 with TIP32 and 2N3055 with MJ2955. 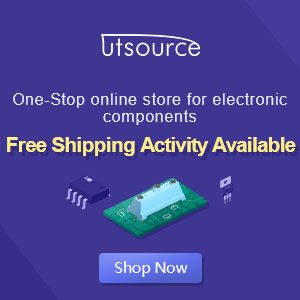 These transistors are well known and widely used for the amplifier circuit and power supply circuit. Take a note that you must use aluminium heatsink (and a fan) to prevent over heating on the transistor (2N3055/MJ2955). This circuit require dual polarity power supply. 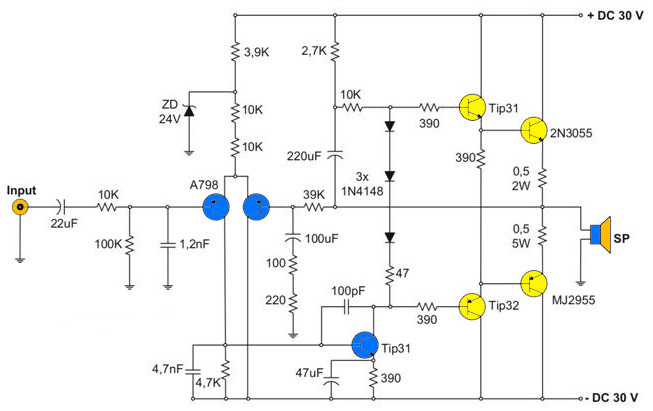 You may use this dual polarity power supply circuit. 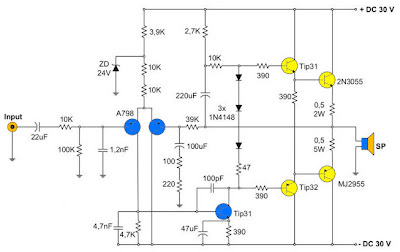 Use 5A center tapped amplifier with voltage output of 25V-0-25V or 32V-0-32V. The capacitor type is electrolytic capacitor, recommended value: 4 x 6800uF/63V (minimum). 10000uF will be better.